Aliens, man. Is there anyone in the world who enjoys aliens as much as Giorgio A. Tsoukalos? The man who rose to Internet superstardom thanks to the show Ancient Aliens shows no signs of slowing down, much like the hit show. You know, this guy. Oh, Giorgio, what would we do without you? I hope we never have to find out. Ancient Aliens just finished airing its thirteenth season and its status moving forward is officially in limbo. There has been no word from History as to whether the cultural phenomenon will return or not, but I would say its return is a foregone conclusion. I mean, who doesn't want to see how this all plays out? At this point, poor Giorgio is going to wither away before he gets his definitive proof. Don't believe me? Just look at how much the show has taken out of him. So, what could they possibly talk about after nearly 150 episodes? The sky (and beyond) is the limit. What's interesting is that while some topics do get regurgitated from time to time, the episode topics for the second half of season 11 were all relatively unique. Sure, there was finally an entire episode devoted to Roswell, but despite being mentioned a lot through the series (it is Roswell after all), this is the first time that Ancient Aliens has tackled it directly. That says a lot about the scope of the show and the potential for more episodes in the future. Ancient Aliens: Season 11, Volume 2 contained episodes that focused in on Russia's alien secrets, the mysterious number nine and the Hindu deity Shiva among many others. So, it would seem that the well is indeed not going to dry up any time soon. And yet, just how much can History really squeeze out of this show before the public finally moves on? Well, given the success of their new scripted show Project Blue Book, History plans to stay in the alien business for as long as they can. And heck, why not? Our fascination with the existence of extraterrestrials goes back to the beginning of time when we first looked into the heavens and wondered what else was out there. If, somehow, you haven't yet caught the Ancient Aliens bug, here's an excerpt from an episode from Ancient Aliens: Season 11, Volume 2. No matter where the future lies, I have faith that Giorgio A. Tsoukalos will be there to lead the way. History still hasn't announced the next season, but it doesn't take an ancient rocket scientist to realize that this phenomenon isn't dying out anytime soon. 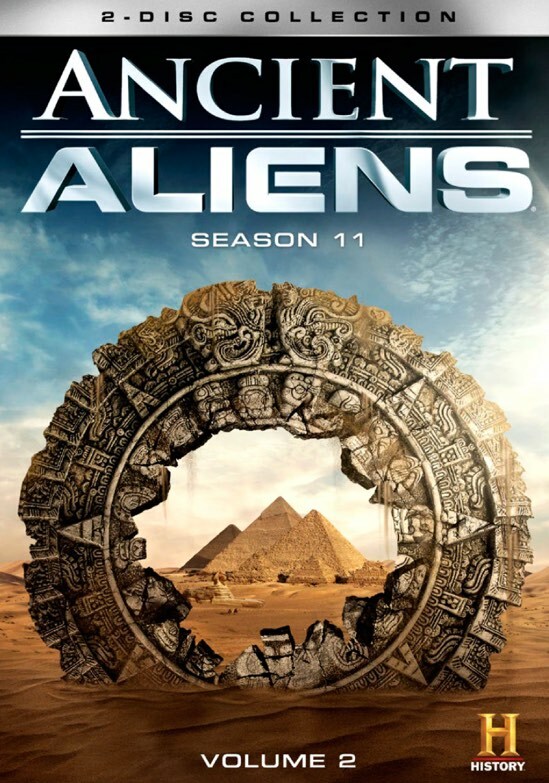 Ancient Aliens: Season 11, Volume 2 is now available on DVD.